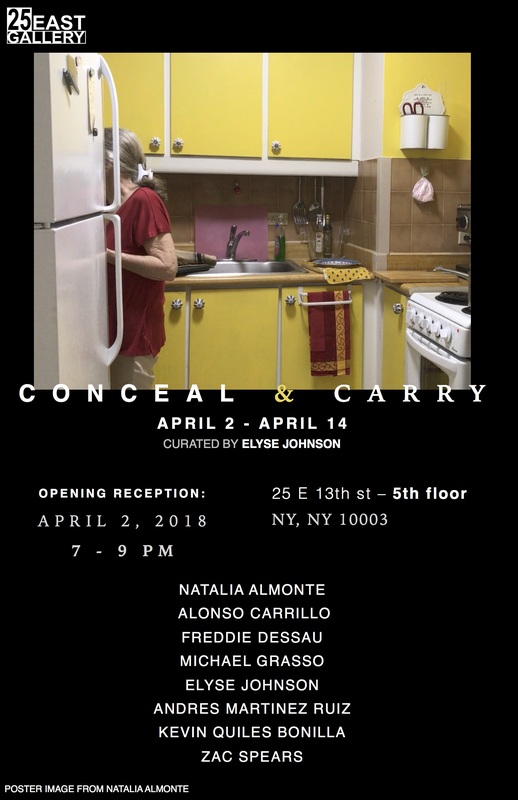 Conceal and Carry represents a moment of reflection on the individual and cultural accumulation of contemporary national trauma. This exhibition investigates the ways in which sensationalism, tragedy, scale, and violence dictate and inform image making and cultural identity. The early twenty-first century has arrived in its own reckless and blurry sense of identity, one that is rooted in the terminal nature of imperialism and the ever-evolving rapport of terror and documentary.